Thank you for participating in the Mass. Alliance of Commissions On Disability's Accessible Pedestrian Signal Survey. One of the most crucial aspects of accessibility is the ability for individuals with disabilities to navigate public streets independently. One key way that cities and towns provide such access is with the use of Accessible Pedestrian Signals (APS). These signals, mounted at signalized intersections, replace existing standard pushbuttons and help blind and visually impaired pedestrians to cross safely by using sounds and vibrations to signal when it is safe to cross. The goal of this survey is to determine what local policies on APS are, so that we can work with the Massachusetts Architectural Access Board to incorporate a uniform statewide standard in the next set of MAAB regulations. 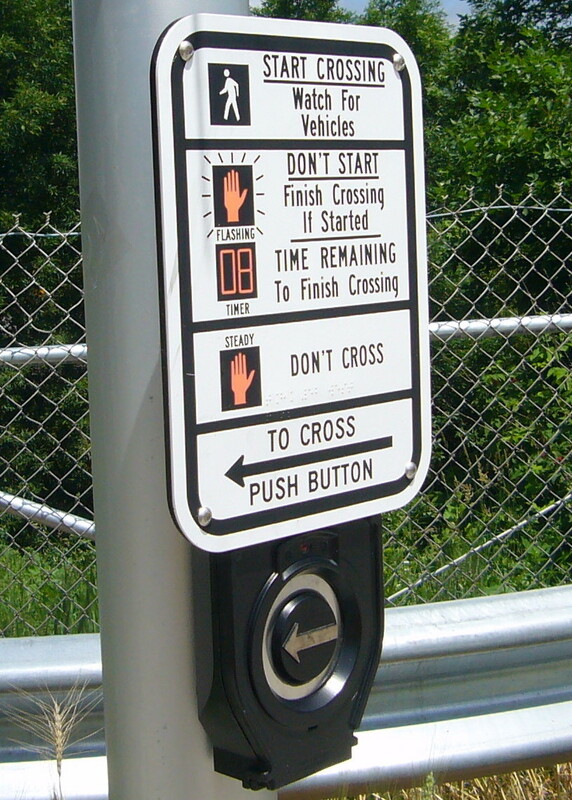 Pictured is one example of an Accessible Pedestrian Signal. The Massachusetts Alliance for Commissions on Disability is a project of the Disability Policy Consortium. It's an informal group for members of municipal disability commissions and city ADA coordinators to meet once per month by phone to discuss issues affecting persons with disabilities at a grassroots level, coordinate advocacy on legislation, and launch joint projects, of which this survey is the first. As time goes on we're also going to be producing best practices guides, where members of commissions that have had success in particular areas--for instance, working with local officials or raising funds--can share their suggestions for success with other commissions.